If you suspect you have a loss of hearing, the best option is to check this out by taking a diagnostic hearing evaluation. This test determines the type, extent, and specific characteristics of your ability to hear. The evaluation takes place in the audiologist’s office, using a piece of equipment called an audiometer. Everyone’s hearing is unique and people of any age can experience hearing loss. Fortunately, the audiometer can cope with this, and is suitable for everyone from newborns to seniors. Remember, most health insurance policies cover for diagnostic hearing evaluation – although in order to qualify you may need a referral from your primary care physician. A diagnostic hearing evaluation does just that: It diagnoses the exact nature of your hearing loss and allows your audiologist to advice on the best way forward. 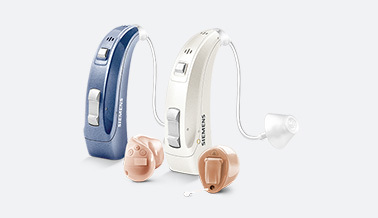 In some cases a hearing device is not the best option, and either medical therapy or even surgery is recommended. Only a diagnostic hearing evaluation can provide the information to make this decision. However, should a hearing device be appropriate, your audiologist can also advise on those most suited to your listening needs. Expect the evaluation to take between 30 to 40 minutes. But leave yourself plenty of time to discuss the results with the audiologists and ask questions. Also, if hearing devices are advised, you don’t want to rush a discussion of the options. Where possible, bring a family member along to the appointment. Hearing loss often affects the whole family so it’s great to have their support, and also take on board their perception of listening issues. Your medical history may well be relevant to any hearing loss issues. Prior to the appointment your audiologist will ask for a medical history, plus a complete list of any medications and supplements that you take. It is especially important to make the audiologist aware of issues concerning your history of noise exposure, and episodes of tinnitus or balance problems. And finally, when finding an audiologist, ask around and seek personal recommendations. It’s important to find an audiologist who listens carefully to your concerns, and whom you feel you can build a professional relationship with. A good audiologist wants to help and is keen for you to ask questions. Finding the hearing solution should be teamwork; with you talking about your hearing needs and the audiologist giving your clear information about the options which best suit your lifestyle.